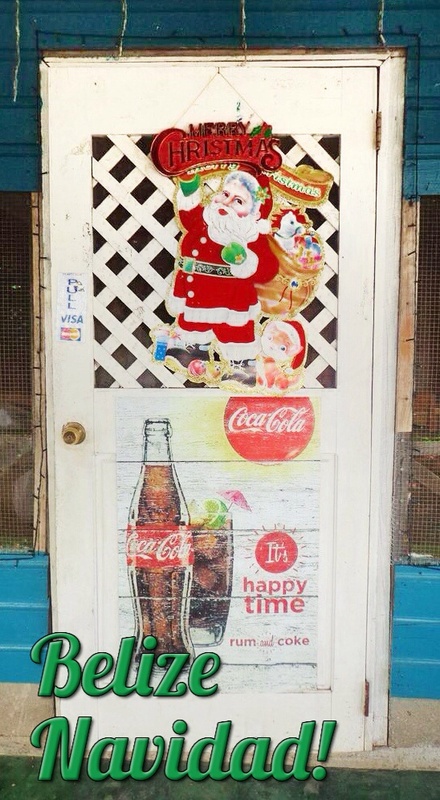 The front door of a restaurant in Santa Cruz, Belize, in December 2013 carries the message of a Merry Christmas … and promotes the happy times promised by a rum and Coke. A bicyclist weaves his way down the main road in Placencia, Belize, in December 2013 while a tourist waits outside a shop. A number of mangrove cayes dot the horizon just south of Placencia, Belize. A line of seagulls rests on a perch near Abigail Caye, Belize, while another caye can be seen in the background. Abigail Caye is about 8 miles into the Caribbean Sea from Placencia, Belize. The front door to a restaurant in Santa Cruz, Belize, is decorated for both Christmas and the happy times of rum and Coke. Santa Cruz is about 20 miles north of Placencia, Belize. The docks at Placencia, Belize, are quiet on a December 2013 afternoon. A renovated, modern dock is located nearby. Touch on any photo above to launch the full-sized slideshow. These photos were taken during a vacation to Placencia, Belize, in mid-December 2013. If you’ve never been to Belize, you should put it on your bucket list. If you have been, I’d love to hear about your favorite places and activities. We’re counting the days until we can go back.